HIGH-flying executives and busy socialites are fleeing to black-hole resorts for a digital detox where they can be completely free from midnight BlackBerry beeps and rolling Facebook updates. With more people switching to smart phones and tablet devices for work and play, it is now almost impossible to log off from the world. So, the thought of a holiday that allows you to drop off the grid is quite indulgent. Escape Travel general manager Mark Hodgson said checking in to black-hole resorts had become the new luxury travel trend for modern travellers desperate to unplug from the digital age. "Black-hole resorts are popular for what they don't provide guests," Mr Hodgson said. "These resorts are located in far-flung destinations so there is no mobile coverage, no Wi-Fi access and quite often no TVs in the rooms. "While many resorts claim to offer complete seclusion and relaxation, the best way to truly escape the daily grind is to find a place where you can't be distracted by telephones, televisions or the internet. "Instead, the focus is filling the digital void with nature walks, yoga, diving, cooking classes, stargazing and moonlit dinners. This place is seriously far removed from the rest of the world. Hotel Remota is on the bay in Puerto Natales in Patagonia. To get there, you must fly to Santiago and then to Puerto Arenas which is about a four-hour drive from the hotel. A truly inspiring design makes this 72-room resort one-of-a-kind, with rooms offering grand views of Ultima Esperanza Bay, the Balmaceda Glacier and the Paine Mountain Range. The location is breathtaking, with an abundance of sheep and cattle grazing in the farms and wild birds and geese lingering by the lakes. 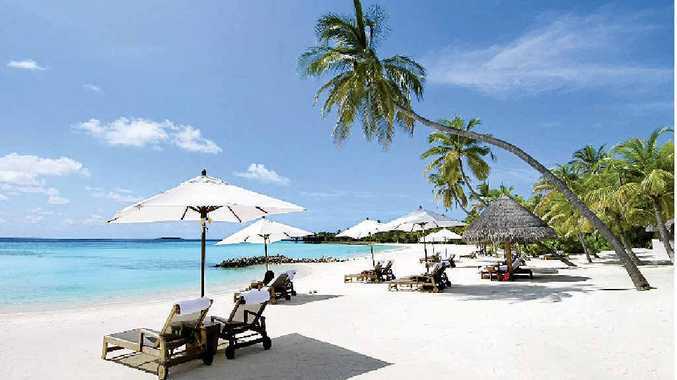 Soneva Fushi is famous for being the first Robinson Crusoe-style resort in the Maldives. It occupies the privately owned tropical island of Kunfunadhoo in Baa Atoll which is one of the largest islands in the Maldives. A laidback, relaxed approached means that you really can enjoy barefoot luxury. The resort has adopted a "no news, no shoes" philosophy. Private villas are scattered along the beach and tucked into the lush greenery, and access to the island is by a 30-minute scenic seaplane flight. Make your own floral lei, try fishing the traditional way with a bamboo pole, enjoy treatments at the exclusive health spa or go snorkelling during an escape at Kona Village Resort. On the Kohala Coast of Hawaii, this ancient fishing village offers barefoot luxury through a collection of Polynesian-style thatched roof bungalows in a 32ha enclave of gardens, lagoons, black lava, palms and black and white sand beaches. Reserve your own private beach, ride on horseback or hike through the vast jungle hillsides on Turtle Island. This privately owned island is part of the gorgeous Yasawa Islands in Fji, boasting 200ha and offering 14 pristine beaches, with 14 bures scattered along Blue Lagoon Beach. Activities include kayaking, reef walking, snorkelling, diving, line and game fishing, sailing, windsurfing, and biking.